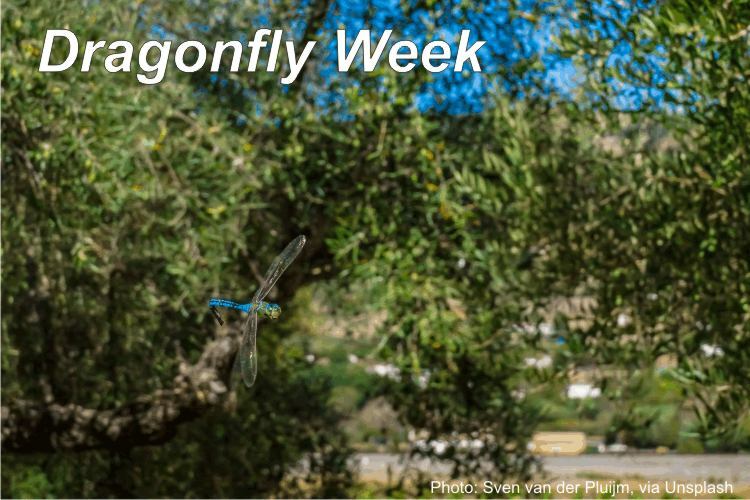 It's Dragonfly Week this week running between 15th-23rd July 2017. 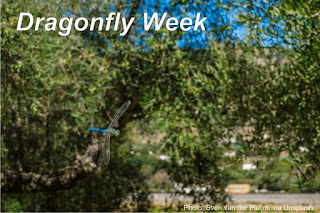 Dragonfly Week is a week of fun, training and celebration focused on the wonderful world of dragonflies. CJS has a rather sweet association with dragonflies. Before CJS (and in the early days) Niall and Anthea used to run a freelance environmental education service called Rent-a-Ranger and in the days before mobiles used CB radios to keep in touch. Their call signs were Dragonfly and Damselfly, when I see a lovely big dragonfly buzzing across the garden I often hear Niall's voice in my head as he spoke into the CB, "Dragonfly calling Damselfly." If you'd like to help with monitoring these lovely insects sign up to one of these surveys. The British Dragonfly Society follows the fortunes of Britain’s dragonflies and damselflies using information collected by volunteers. Our current surveys include: The DragonflyWatch Monitoring Scheme · The Migrant Dragonfly Project · Willow Emerald Watch · Complete Lists & Adopt a Site. For these and more click here. You can find more invertebrate surveys here. And if your ID skills are a little rusty there's now an iRecord Dragonflies app which helps you to identify the dragonflies and damselflies that you find and lets you record your sightings to support their study and conservation. Get the app here.